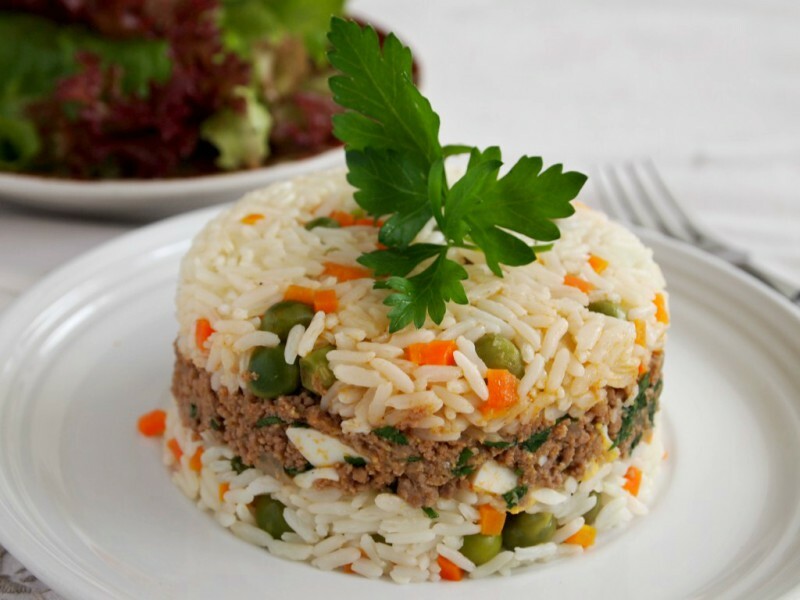 Molded ground beef with veggies and rice. 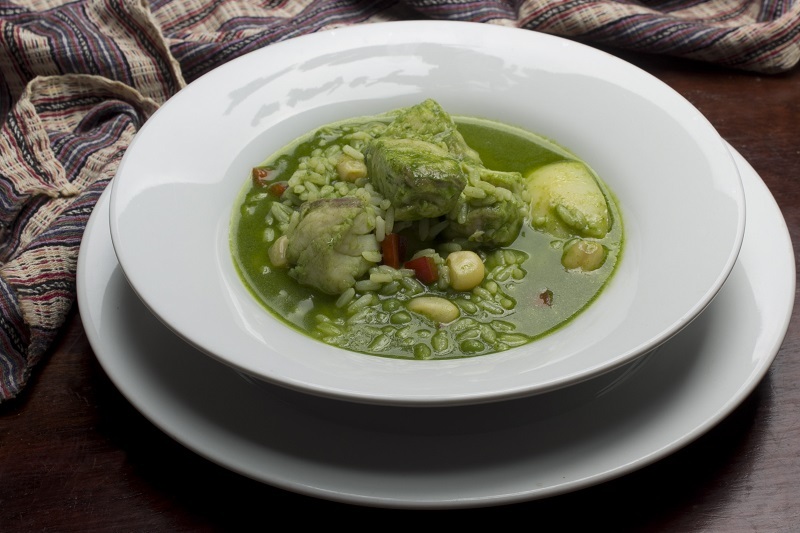 Gastón Acurio, our most famous chef, says that growing up in upper class Lima, he used to think arroz tapado was what the family cook prepared when she didn´t feel like cooking. And maybe he was right, because this is a quick-fix dish for any day of the week, so easy to make that even the least talented cook could do it in less than an hour. In some households they top it with fried slices of sweet potato or fried ripe plantains. They do this to add another sweet touch to the dish (apart from the raisins), maybe for the color, or simply because it´s delicious this way. The ground beef can be finely chopped beef or chicken, or even tuna. For vegetarians: soy meat or minced portobellos will do the trick. You may notice that this recipe is similar to the one used for papa rellena. 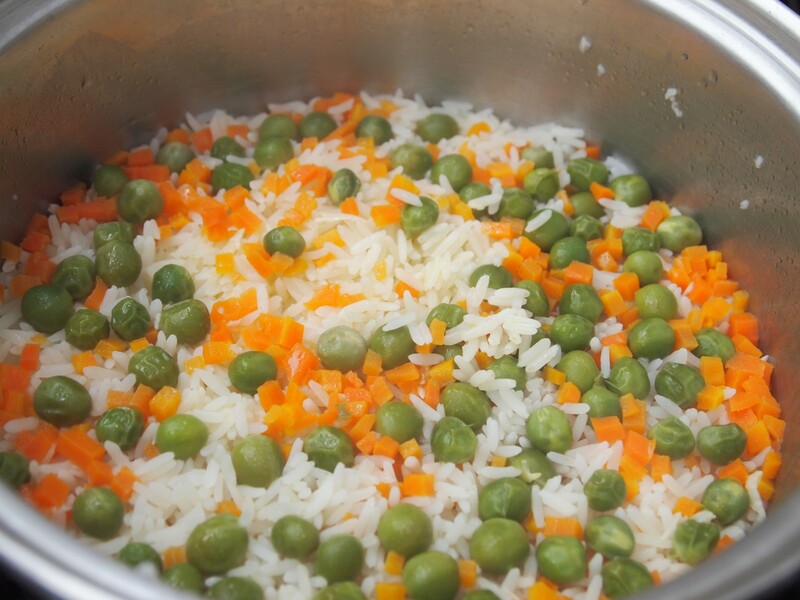 I have added diced carrots and green peas to the rice because I like it this way. Yesterday I was chatting with my son about the portions of this entree. You can actually make every portion of arroz tapado as big or small as you want, you just need to find a ramekin the size of your appetite, and stack all the components in it (rice-beef-rice; in that order). The result is a whole meal in itself; serve it alongside a nice green salad, and you are done! It´s perfection at its simplest form. Maybe this is why we all love this recipe so much, because it looks very pretty, but is so easy to make and to modify! The only thing you really need to remember is this: make it juicy. The rest is up to the cook: more heat, more vegetables, more herbs… whatever suits his / her palate. And if you have any left over meat mixture, you can freeze it and use it to stuff some papas rellenas, empanadas, or add it to your tomato sauce for an extra special pasta topping next time. Heat the oil in a pan over high heat, and sauté the onion and garlic. When the onion is soft and translucent, add tomato paste or ají panca, stir for a few minutes and add the ground beef. Cook for 15 minutes over medium-low heat, stirring every now and then. If the mixture looks dry, add some water to make it juicy, about ½ cup. Season with salt and pepper and cook for 5 minutes more. 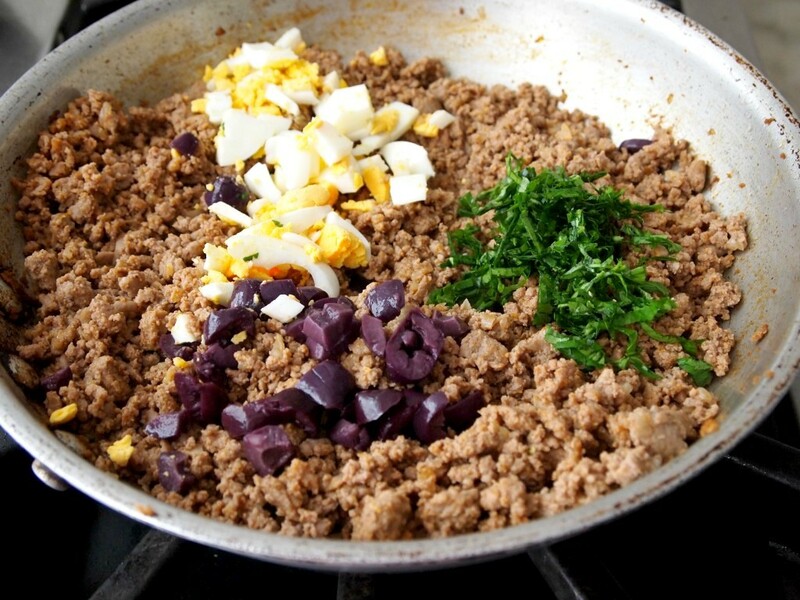 When ready, add raisins, black olives, hard-boiled eggs, and parsley. Turn off the heat. 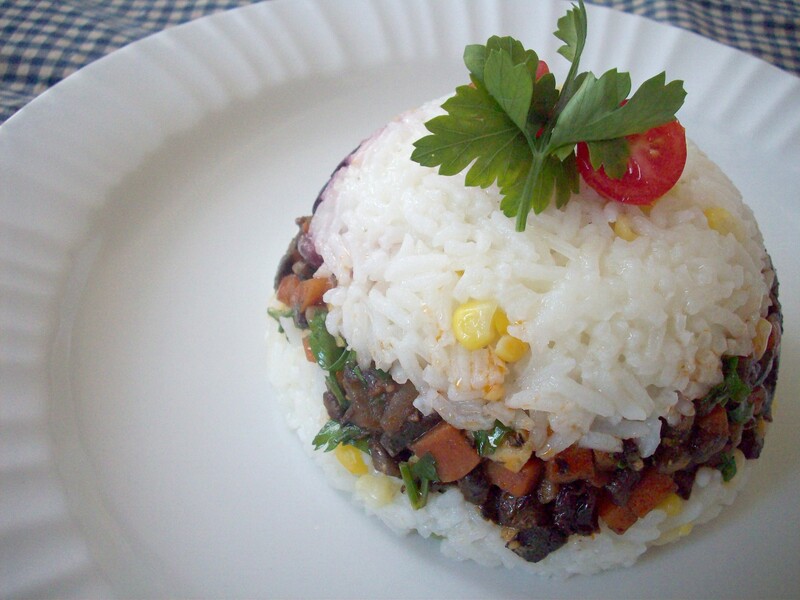 Have cooked white rice with peas and corn ready and warm. 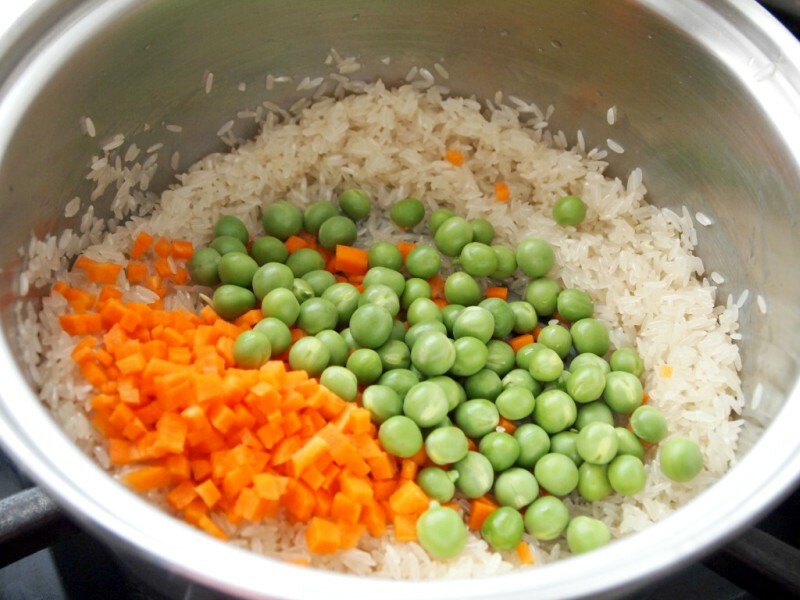 You may add other vegetables if you wish, like green beans, or leave the vegetables out of the recipe. In the bottom of an oiled ramekin, make a layer of rice, pressing with a spoon. Over this make a layer of ground beef, and cover with more rice. Put a plate over the ramekin and turn up-side-down. Take out the ramekin and you will have arroz tapado! Garnish with parsley leaves and serve with a green salad. Such a pretty plate..and looks so yummy! I shall try this one! Please do, and let us know how it turns out. No había oído ese termino antes y eso que la comida colombiana y peruano son bastante similares! A mi todas las recetas con arroz me fascinan. Nosotros somos arroceros, podemos comer arroz todo el tiempo, y tenemos muchísimas recetas deliciosas con él de protagonista. Gracias por visitarnos. Wow. That looks delicious! I’m looking for more rice recipes, so thank you for sharing this with us. Hi Monica! 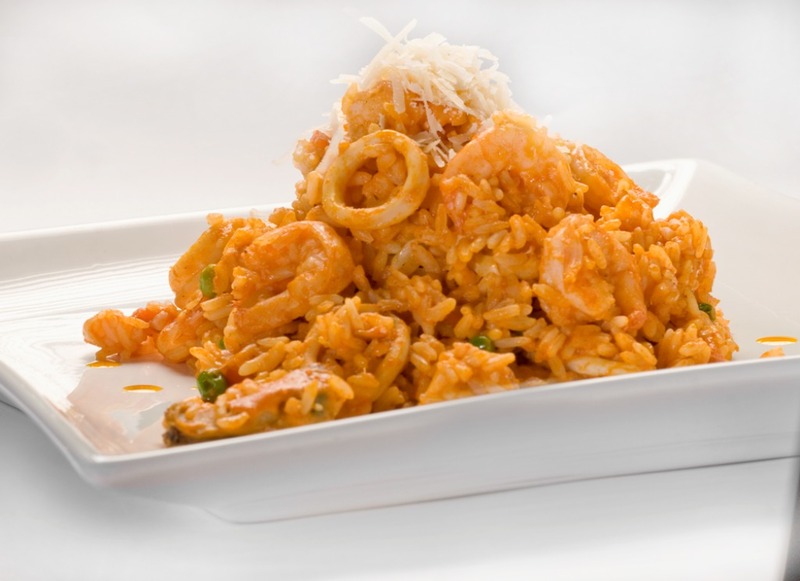 We´ll be sharing more rice recipes with you. 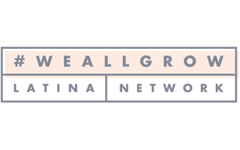 We love it, and it´s so good. Thanks, Patty. You can change the recipe with other protein or make it vegetarian. It´s always delicious. This sounds yummy, especially with the fried sweet platanos! Mmmm! How delicious! Thanks for the tip on portion control. I will definitely try this by stacking the contents in a ramekin. Great recipe! 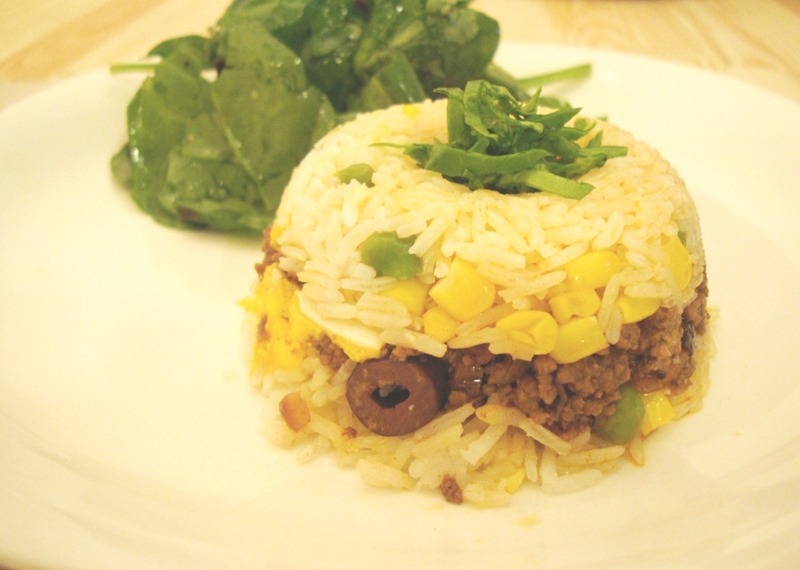 I love adding new rice recipes to my dinner ideas!! I did not have the olives or carrots for the meat but instead I used orange pimento..Either way I think the orange pimento was a better taste than carrots..I will use kalamata olives next time….So delish!! !